After reading about New Zealand’s dairy industry. I was unable to convince myself the abuse might be a one-off as claimed by the industry, so as I wrote in a post last year, I’m now on a dairy-free diet. I survived the festive season with a delicious vegan nut roast and hadn’t given my new eating plan much thought until recently. Two friends asked how it was going. One wanted to know if I found my diet boring and was there anything I missed. In all honesty, I haven’t found the change to dairy-free too difficult. Since my early twenties, I’ve been careful about what I eat. Back then it was about health and athletic performance, so I ate lots of fresh food and starchy carbohydrates, and I avoided heavily processed food. Now the restrictions relate to my beliefs as I try to minimize the impact I have on animals and the environment. In some ways I find this easier than the health motivation. I’m more determined. I’ve been dairy-free for almost four months and have no regrets. I haven’t settled on one all purpose ‘milk’. I find soy milk more versatile, but I’ve read that isoflavones in soy can disrupt hormone production, so I use oat milk for cereals and tea, soy milk for coffee, and unsweetened almond or coconut milk for a refreshing drink. I can’t say I’m used to oat milk yet, but if I think of the cruelty to bobby calves in large-scale dairying, oat milk tastes divine. Now that I’ve given up cheese, I realise how often I relied on it for sandwiches, home-made pizzas, salads and sauces. Eating out in New Zealand is much more difficult now – meat or fish are included in most menu items and the vegetarian option always includes milk or cheese. The demand for dairy-free food isn’t limited to vegans and those with lactose intolerance. There’s also a growing interest in dairy-free foods for health reasons. After all, we can’t be sure what drugs and chemicals are in dairy products from large-scale dairy farms. 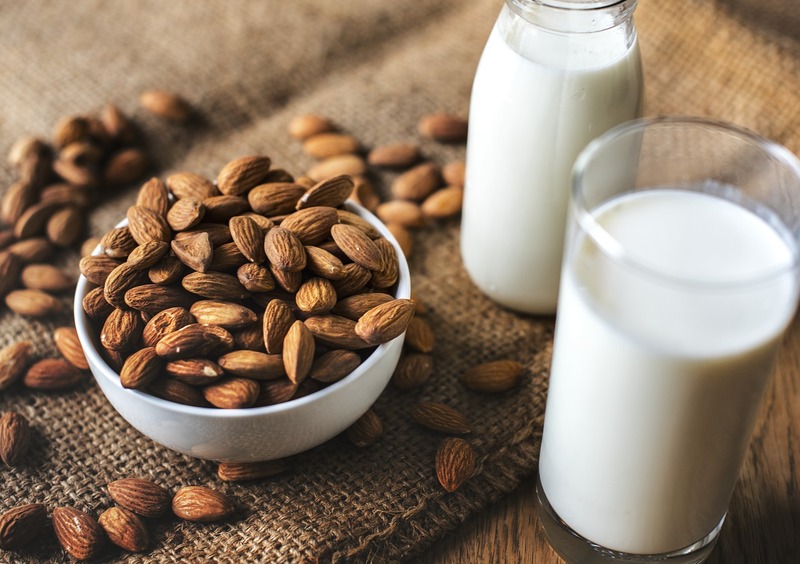 If you’re thinking about a dairy-free diet and you don’t eat other animal products, it’s important to know about potential nutritional deficiency, vitamin B12 in particular, and to eat fortified foods for good health. In the U.S., California based Miyoko’s Kitchen makes nut cultured products with organic coconut and cashew oils, chickpeas, and nutritional yeast giving a cheesy flavour that could tempt most cheese lovers. On becoming a vegan, Miyoko Schinner missed cheese so much that she experimented at home to see if she could re-create the flavours and textures of cheese. The result was her book Artisan Vegan Cheese. Miyoko’s Kitchen was set up to supply her dairy-free products across the U.S. and some parts of Australia. As well as mozzarella, Miyoko’s range includes the mouth-watering Classic Double Cream Chive, Aged English Sharp Farmhouse, and French style Winter Truffle, where mushrooms are the magic ingredient. The U.S. is also home to Oregon based So Delicious food business that makes dairy-free milk, ice cream, and yoghurt, using cultured coconut milk to replace cow’s milk. As well as being dairy-free, products are also non-GMO and free from artificial sweeteners, hydrogenated oils, and trans fats. Ethics is a priority too. Bute Island Foods in Scotland is behind the innovative Sheese, made with non-GMO coconut oil and soya and available in supermarkets. The range includes cream cheeses such as sweet chilli or chives, and hard cheeses in the style of Edam, Gouda, Cheddar, and smoked Cheddar. Unfortunately for me, vegan dairy substitutes are limited and expensive in New Zealand, so I’ll have to wait until I return to the U.K. For now, I’ll be fine without cheese alternatives, and my dairy-free muffins satisfy my desire for a little something sweet! I can’t deny that a diet excluding dairy, as well as meat and fish, can be a little repetitive, but only because I haven’t had time to experiment with new recipes. I love the flavours and textures of vegetables, pulses, nuts, and grains – the possibilities for creativity are endless. With so many inspiring plant-based recipes available online, what am I waiting for? I just need to make time and get cooking! Do you eat a dairy-free diet or are you thinking about it? What have you found difficult? If you have any tips, I would love to hear them! Since writing this post, I’ve moved back to the U.K. There’s more choice of dairy-free products and they’re cheaper, and shopping is easier with better labelling of allergens such as milk. The major supermarkets here have their own ‘Free From’ range which includes soft and hard cheeses made from soya or coconut oil, as well as spreads, yoghurt alternatives, and desserts. I’ve become rather addicted to Alpro ‘yoghurt’. I’m also a fan of Green & Black’s dark mint chocolate – well worth a try, especially when it’s on special. As a tough test in self-discipline, I limit myself to one bar! As yet I haven’t tried making dairy-free milk, but Lindsay Miles at Treading My Own Path has some recipes I plan to try. Eating out is still limited, although I feel spoiled after living in New Zealand – at least there are options here in the U.K.! If you happen to live in central London, I can recommend The Gate for vegetarian and vegan food, and in Norwich, Wild Thyme, River Green Cafe and The Tipsy Vegan are my favourites! Do you have a favourite vegetarian or vegan cafe/restaurant and how popular is vegetarian or vegan food where you live?